The plant is Asia's largest and the first of its kind cob dryer. Speaking on the occasion, G.V Bhaskar Rao - Chairman & M D, Kaveri Seeds said, "We have been continuously investing in state of the art technology enabled seed processing facilities in order to meet rising demand for our farmer focused high quality and high performance seeds. We are extremely happy to launch this first of its kind, world class corn cob drying facility in Telangana which will help increase germination and vigor and also the shelf life of seeds thereby helping us to manage the inventory better, from this season onwards." 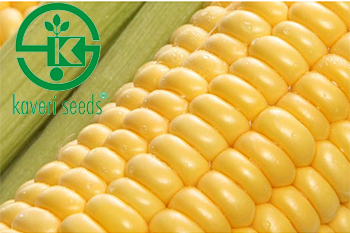 Kaveri Seed Company has invested around Rs20cr exclusively for cob drying facility in its existing integrated seed conditioning & packing facility, spread over 15 acres of land. The cob drying facility can process 400 mt of fresh corn cobs per day. Kaveri Seeds is a robust franchise, built organically over the last 30 years, and will continue to be amongst the top seed companies in the country. Kaveri Seeds is the only company to have a footprint across Cotton, Maize, Millets, Vegetables and Rice, and also the largest pipeline in hybrid seeds across categories. Kaveri Seed Company Ltd is currently trading at Rs452.20 up by Rs11.6 or 2.63% from its previous closing of Rs440.60 on the BSE. The scrip opened at Rs440.95 and has touched a high and low of Rs455.75 and Rs439.50 respectively. So far 7,57,057 (NSE+BSE) shares were traded on the counter. The current market cap of the company is Rs2,781.47cr.